The Kaira Renn series is a new fantasy adventure set in The Society for the Preservation of Magical Artefacts. 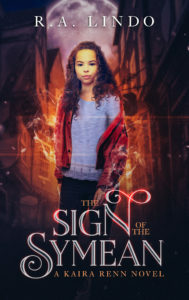 The series currently includes two books: the prequel The Rise of the Ameedis and Book 1 The Sign of the Symean. Both are available on Amazon. In book one, Kaira discovers her father’s secret world, becoming immersed in its majesty and danger. 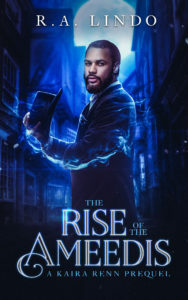 The series will span five books as the magical world Kaira finds herself in expands, introducing readers to a world adventure and a slice of mayhem. The second instalment in the series is currently being written, due for publication in July 2019.